SERVPRO has a 16,000 square foot, climate controlled, monitored facility in Bloomington. The facility includes a garage for our fleet and drying equipment; an ozone chamber for customers' belongings to be properly deodorized; storage space for their property be be held until their home is restored and they are ready to move back; a cleaning space to properly clean items; a classroom to provide continuing education for our staff along with business partners; a design studio for customers to come and select materials for the re-construction project and a conference room to meet with customers and clients. This is our wall of IICRC Certifications for our management and crew. We believe in keeping our staff the most up to date by getting them certified in all trades we work in; and providing options for continuing education. We encourage our customers to verify certification prior to letting anyone work on their home, business, or personal property. At SERVPRO we have the tools necessary to complete any job with the least amount of demo possible. 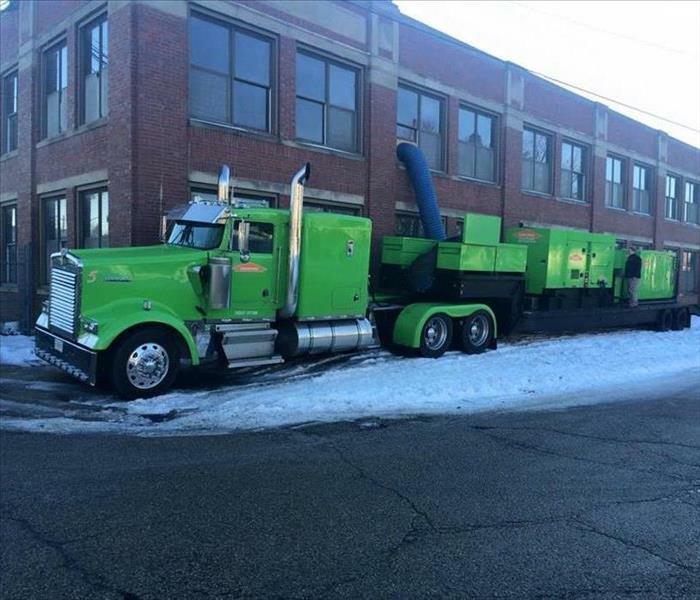 These are some of our specialty equipment devices that allow us to restore property faster. During a mold remediation project it is imperative to create a negative air pressure environment in order to filter the mold spores from the air during the project. The air filtration device has a multi stage filter chamber, one filter of which is a HEPA filter capable of filtering mold spores from the air. The exhaust is then ducted from the environment in order to create the negative pressure. SERVPRO of Bloomington/Gibson City/S. McLean County is capable of handling any size mold remediation project. There are six remediatiors on staff with access to hundreds more through our franchise system. We also recommend third party air clearance and surface sampling to ensure a proper remediation to all of our customers. SERVPRO has worked with many schools on mold, water and fire projects ensuring a safe environment for the children to return to on a timeline that get them back as quickly as possible. 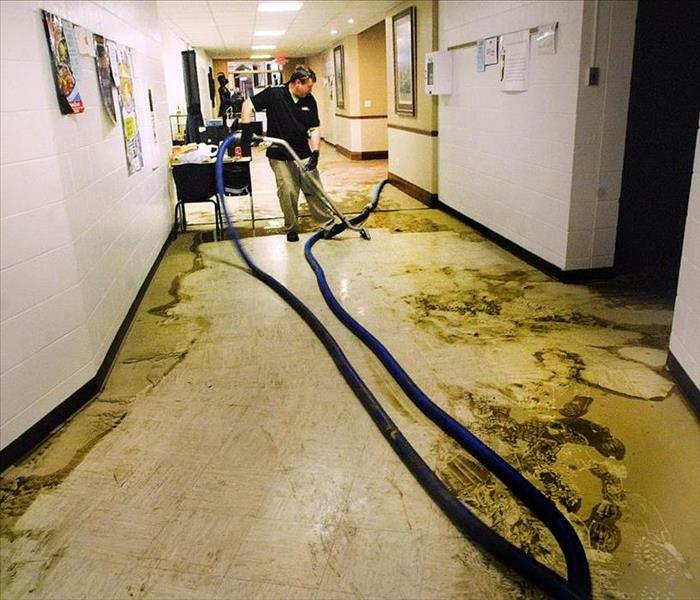 This particular job was due to a water main break outside that then ran down grade and flooded into the building. Approximately 25,000 square feet of the structure were affected. Our team was able to coordinate with school administrators and have the children back with minimal disruption within two days. 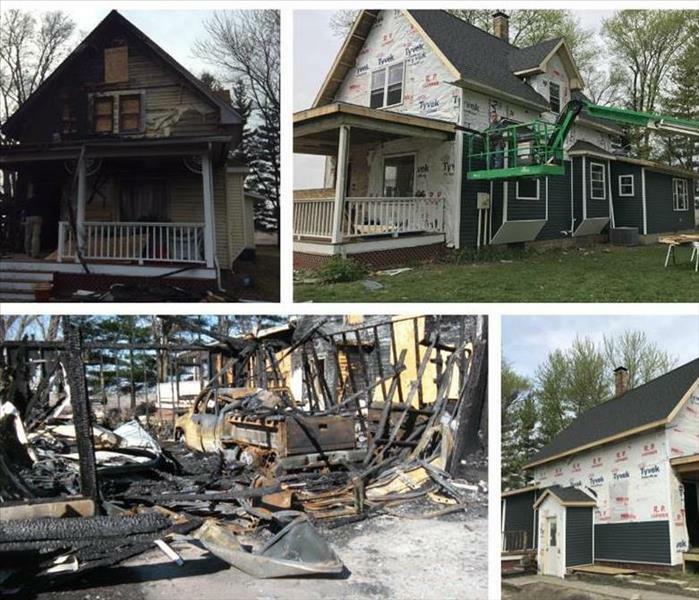 This photo demonstrates the process of restoring exteriors after fire damage. There was significant smoke and fire damage. The owner could not believe the transformation. We make disasters "Like it never even happened." 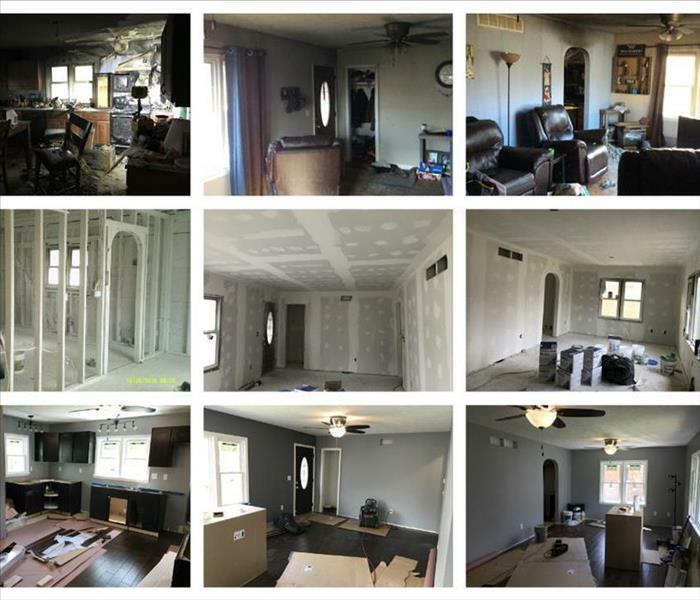 This photo captures the stages of which a fire damage goes from loss day to move-back day. The SERVPRO team is the only team you need to make your fire damage "Like it never even happened." This is our large loss desiccant dehumidifier. It will handle drying out any size commercial loss in a timely manner. This particular project was 64,000 square feet of affected space. 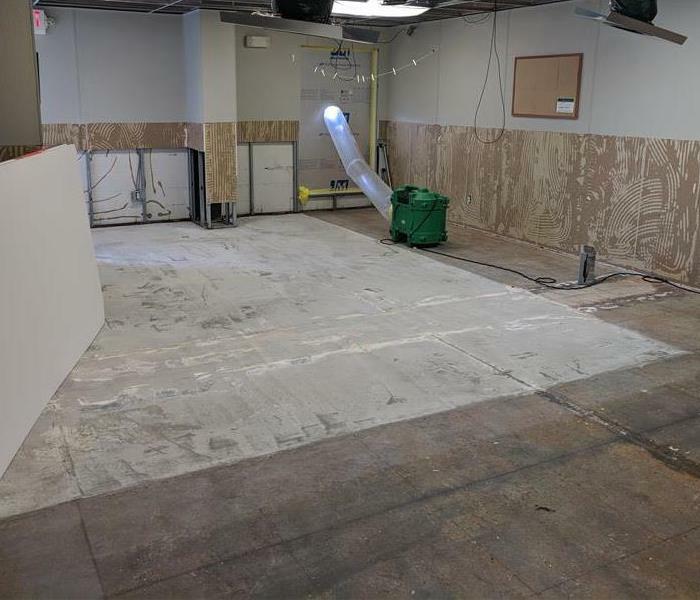 SERVPRO had all salvageable materials dried to their drying goals in five days.